"Black Sea (album)" redirects here. For the Fennesz album, see Black Sea (Christian Fennesz album). Black Sea is the fourth studio album by the English band XTC, released on 12 September 1980. The album received positive reviews and spawned three UK top 40 singles: "Generals and Majors", "Towers of London", and "Sgt. Rock (Is Going to Help Me)". A fourth single, "Love at First Sight", was released exclusively to Canada. And a fifth single, "Respectable Street", was banned from BBC radio due to its references to abortion and a "Sony Entertainment Centre". The album itself remains XTC's second-highest charting British album, placing at number 16, and the most successful American album of their career, peaking at number 41 on the Billboard 200. Early copies of the album came with the sleeve enclosed in a lime-green paper bag. Black Sea spent 7 weeks on the UK album charts, reaching No. 16. In the US, the album spent 24 weeks on the Billboard 200 album charts and reached its peak position of No. 41 in February 1981. The album made No. 1 on the New Zealand album chart. The album received positive reviews from critics. In an AllMusic review, Chris Woodstra called it XTC's most consistent album yet, both in terms of its full arrangements and unsubtle political commentary. Writing for Rolling Stone, Don Shewey also found the album to be consistent over all—with the exception of "Travels in Nihilon", which he says "strays from the intersection of punk and pop where XTC are most at home". 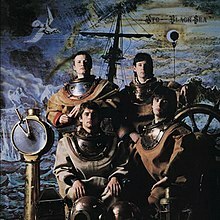 Similarly, David Sinclair, in an overview of XTC's early albums for Q, determined that the arrangements of Black Sea, while complex, were much cleaner than earlier arrangements, such as those found on their debut, White Music. Robert Christgau was impressed by the album's pacing and eclecticism, despite delving into excessively "embellishing herkyjerk whozis" and over-intellect. In a Pitchfork review revisiting Black Sea, along with Go 2 and English Settlement following their remastered CD release in 2002, Chris Dahlen discusses the strengths of Black Sea. In particular, Dalen emphasizes "Sgt. Rock", "Rocket From a Bottle", and "Travels in Nihilon". Dalen also appreciated the placement of the bonus tracks on the CD, following the original track listing of the album. Previous reissues placed the tracks in the middle of the album, interrupting the "flow". A live version of "Respectable Street" appears in the music documentary Urgh! A Music War. ^ Schabe, Patrick (27 October 2006). "The Man Who Sailed Around His Soul". PopMatters. 1980's Black Sea sold well on the album charts on the strength of its solid post-punk tracks, including "Respectable Street", "Towers of London", and "Generals and Majors". ^ Bernhardt, Todd (26 February 2007). "Andy discusses 'Respectable Street'". Chalkhills. ^ a b c "XTC". Official Charts. Retrieved 25 September 2017. ^ Erlewine, Stephen Thomas. "XTC". AllMusic. Retrieved 27 December 2017. ^ a b c Woodstra, Chris. 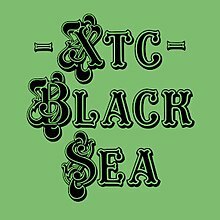 "Black Sea – XTC". AllMusic. Retrieved 19 June 2011. ^ a b Christgau, Robert (1990). "XTC: Black Sea". Christgau's Record Guide: The '80s. Pantheon Books. ISBN 0-679-73015-X. Retrieved 19 June 2011. ^ a b c Dahlen, Chris (9 July 2002). "XTC: Go 2 / Black Sea / English Settlement". Pitchfork. Archived from the original on 4 June 2003. Retrieved 19 June 2011. ^ a b "XTC: Black Sea". Q (178): 139. July 2001. ^ Rathbone, Oregano (December 2017). "XTC – Black Sea". Record Collector (474). Retrieved 7 January 2019. ^ a b Shewey, Don (5 February 1981). "XTC: Black Sea". Rolling Stone. Archived from the original on 12 April 2009. Retrieved 19 June 2011. ^ Cranna, Ian (18 September – 1 October 1980). "XTC: Black Sea". Smash Hits: 35. ^ a b "Billboard 200: XTC". Billboard. 2017. Retrieved 27 February 2017. ^ Ingham, Chris (March 1999). "XTC - 'Til Death Do Us Part". Mojo.